The following is a brief description of our club committees and their purpose. 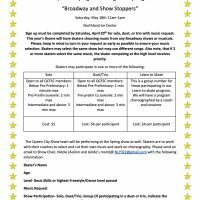 For more information please contact the committee chairperson. We encourage all members to help support our club by volunteering to serve on a committee. The Adult Committee was established to help meet the needs of our adult skaters by helping to provide support, develop club activities, and by promoting the growth of our adult membership. The awards committee oversees the distribution of special awards to deserving club members, such as the Ralph Churchill Award and the Nancy Meiss Award. This committee insures that all club-related business is conducted according to the by-laws adopted by the club’s Board of Directors. This committee helps make Queen City Figure Skating Club logo apparel available to its members by handling and processing orders. This committee is responsible for organizing the annual Queen City Invitational and other inter-club competitions. This finance committee oversees all club funds, prepares financial reports and yearly budgets, and reports to the Board regularly. This committee was formed to investigate and promote fund raising activities to help keep down membership costs and support club activities. The hospitality committee sees that judges are provided with refreshments during test sessions, and they help to coordinate the food and drinks for the annual spring and fall open board meetings. This committee was formed to investigate opportunities and make suggestions for club events and programs that will promote figure skating and help improve our overall club. The membership chairman handles membership applications, collects dues, and sees that all club members are registered with the USFS. The monitor chairman oversees the monitors of club sessions and compiles data from the sign-in sheets. The session monitors collect guest fees, and make sure that members are following club policy by obeying ice rules during club sessions. The music committee is responsible for the playing of music during dance sessions and tests. The club newsletter is published several times annually by our newsletter chairperson and relies on the submission of articles by club directors and members. The chair also supervises its distribution. The pro liaison committee meets annually with club professionals to discuss various topics relating to our coaches and to allow them to voice their opinions and ideas on current club matters. This committee also handles all situations for problems that may arise regarding club professionals. The publicity committee is responsible for writing and submitting press releases promoting the club, its members, and club activities. They also insure that local papers are informed of skaters participation in regional through international competitions. 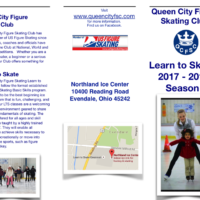 The Queen City Figure Skating Club (QCFSC) is committed to creating a safe and positive environment for members’ physical, emotional and social development, and to ensuring that it promotes an environment free of misconduct. QCFSC supports and fully participates in U.S. Figure Skating’s SafeSport Program. Our SafeSport chair will monitor the SafeSport policies and procedures of the club and serve as the initial contact in the club for persons to report suspected misconduct or violations. A sanction must be granted by the USFS before a skater may appear in an exhibition, ice show, skating event, or competition. Our sanctions officer is responsible for seeing that the proper sanctions are applied for and obtained from the USFS to safeguard our members’ eligibility. The sanction officer should be informed of the activity 30 days prior to the event. The test committee establishes USFS test sessions throughout the year. Their duties include collecting applications, procuring judges, setting schedules, and filing results with the USFS. They also coordinate test award patches, certificates, and gold test medals for qualifying skaters with the award committee. The Scholarship committee works with the community and local businesses to identify sholarship opportunities available for our student members. They also work with our members to identify and select members for consideration of scholarship awards. This chairperson represents the Queen City Figure Skating Club in matters concerning the USFS. 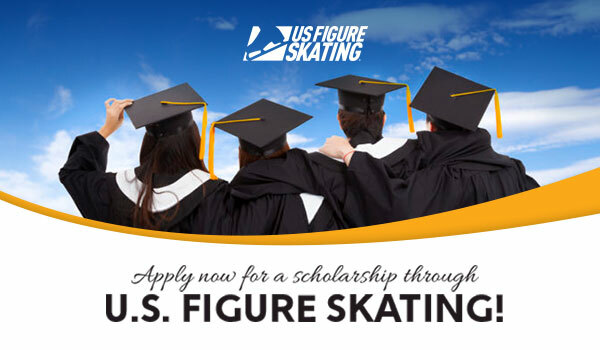 They generally also attend the annual USFS Governing Council Meeting in May as a delegate. This chair is filled by a club parent who regularly has contact with the USFS regarding issues related to skaters and their parents. Our webmaster is responsible for keeping the Queen City FSC web site up to date by revising the site regularly. The youth club advisor supervises the meetings and all activities involving the youth club.